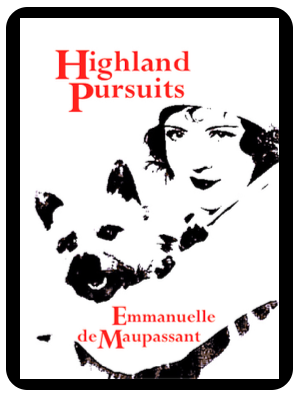 Emmanuelle de Maupassant is thrilled to announce the launch of her saucy 1920s romance romp: 'Highland Pursuits’. 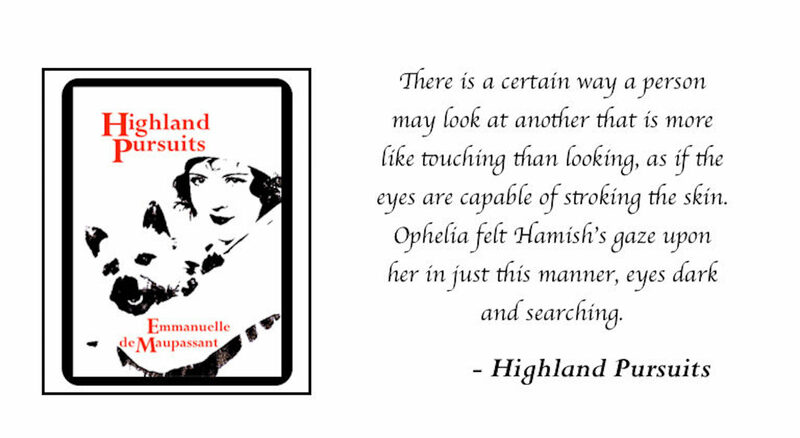 'Highland Pursuits' draws inspiration from a short story of the same title Emmanuelle wrote originally for the charity fundraising anthology Because Beards: all proceeds have been given to the Movember Foundation. This longer, novella, length offers more scope to explore the wonderful characters' eye-popping shenanigans. Hamish and Ophelia were in Emmanuelle’s dreams for many weeks, as she wrote this story. Pssst… if you enjoy Highland Pursuits, don’t forget to leave a review. Reviews make books more visible online, bringing new eyes. If you're on Twitter or Facebook, tag Emmanuelle in your review post and she'll say hello.